Team17 and Mouldy Toof Studios have announced The Escapists: Complete Edition for Nintendo Switch, launching later this year via Nintendo eShop. The release of The Escapists: Complete Edition comes after the successful debut of The Escapists 2 on Nintendo Switch. 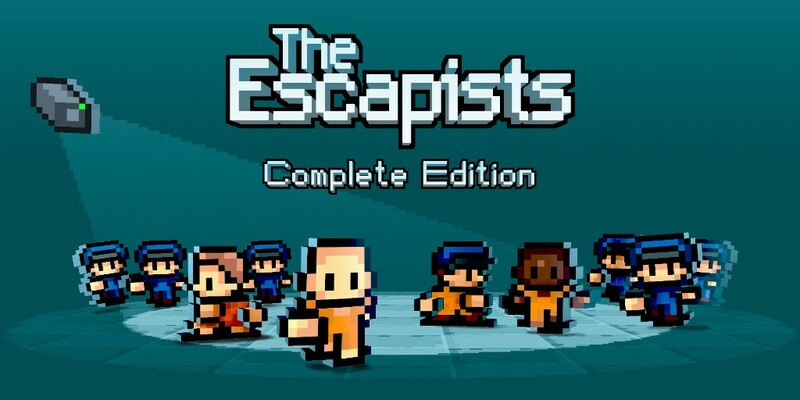 The Escapists: Complete Edition includes the base game and all DLC packs. The release of the award-winning sandbox prison-escape will be the most content-packed version of the game ever released and will include all the prisons from the base game plus nine bonus maps, including one which has never previously been released on console, Fhurst Peak. Escaping won’t be easy though. You’ll have to work around the strict prison schedule and avoid the unwanted attention of guards!